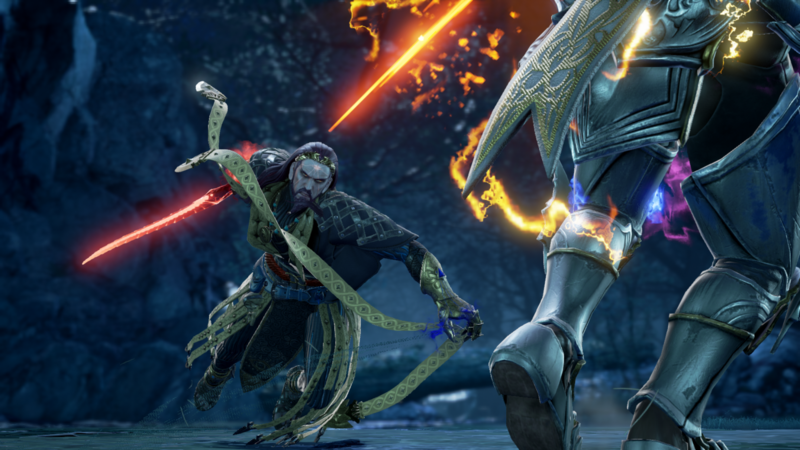 Bandai Namco has released the latest character reveal trailer for Soul Calibur VI. 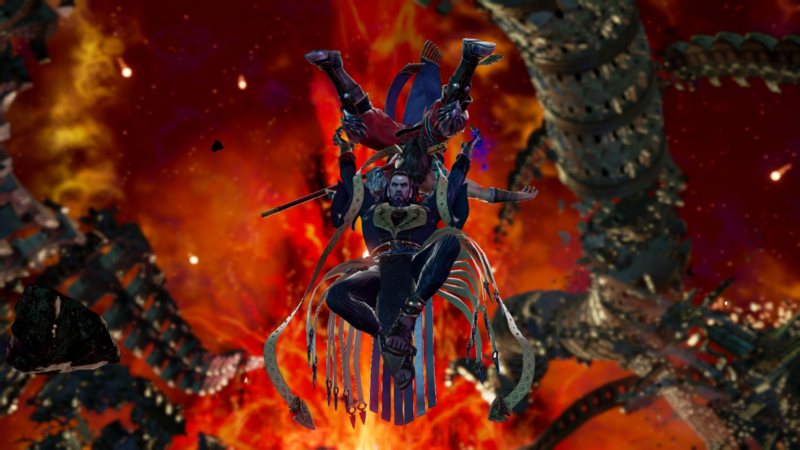 "You shall be sacrificed for the human race!" 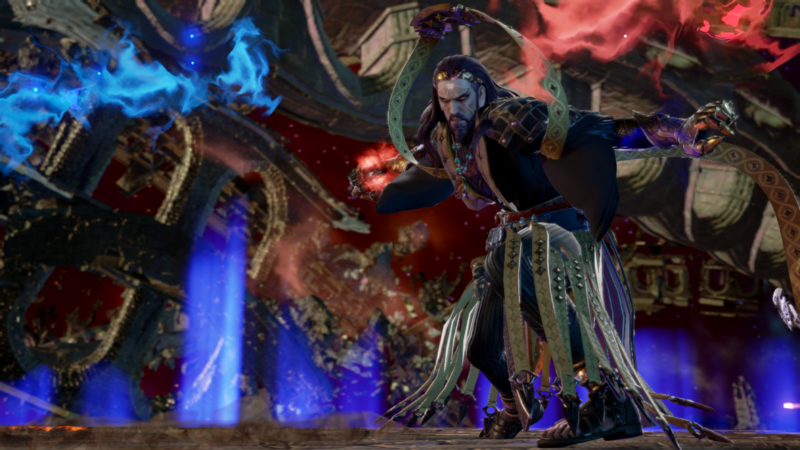 Azwel, Leader of Humanity, wields the powerful weapon Palindrome which grants him the ability to manifest weapons out of thin air. 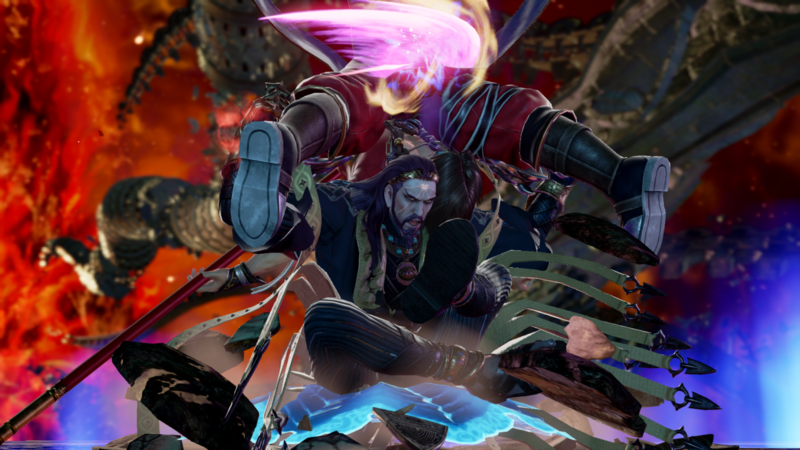 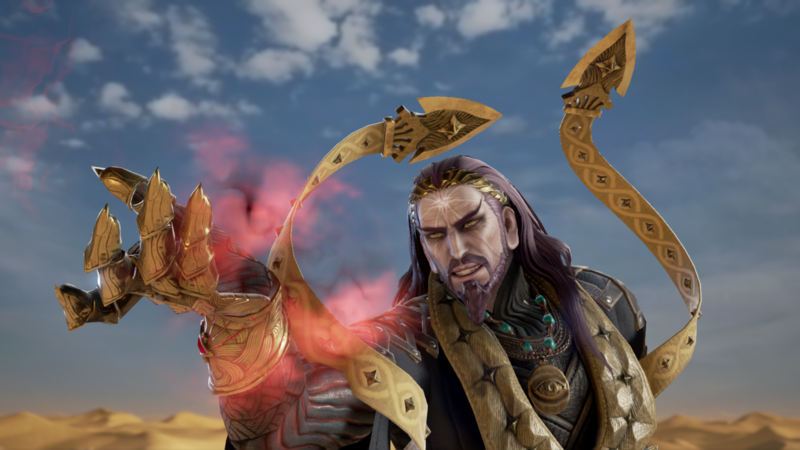 We previously got a glimpse of Azwel in the Libra of Soul (2nd Story Mode) trailer... now see what he's capable of in this latest SC6 gameplay footage! 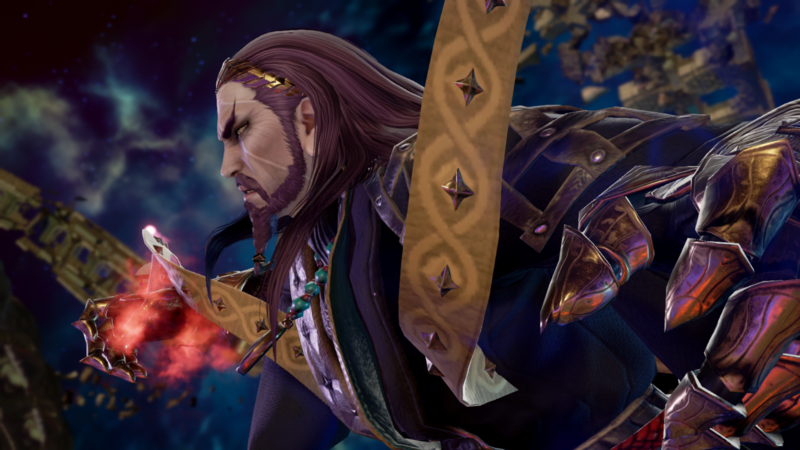 [UPDATE] Azwel's character bio, official artwork by the legendary Takuji Kawano, and over 30 screenshots have been added to the article. 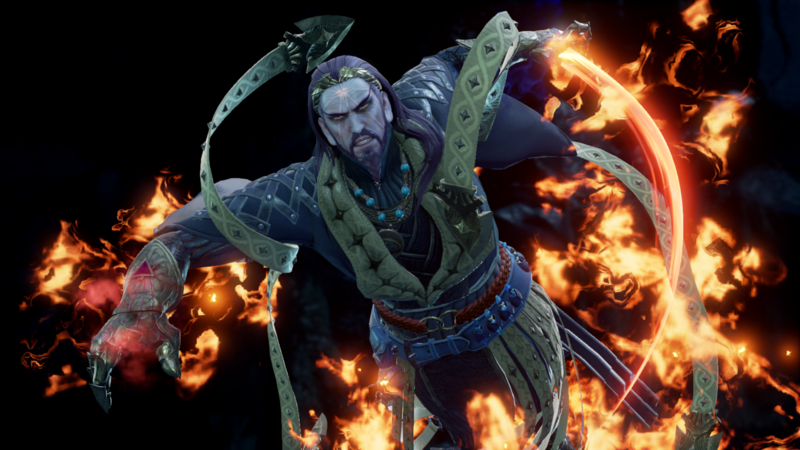 New details on Azwel's playstyle were also added further down. 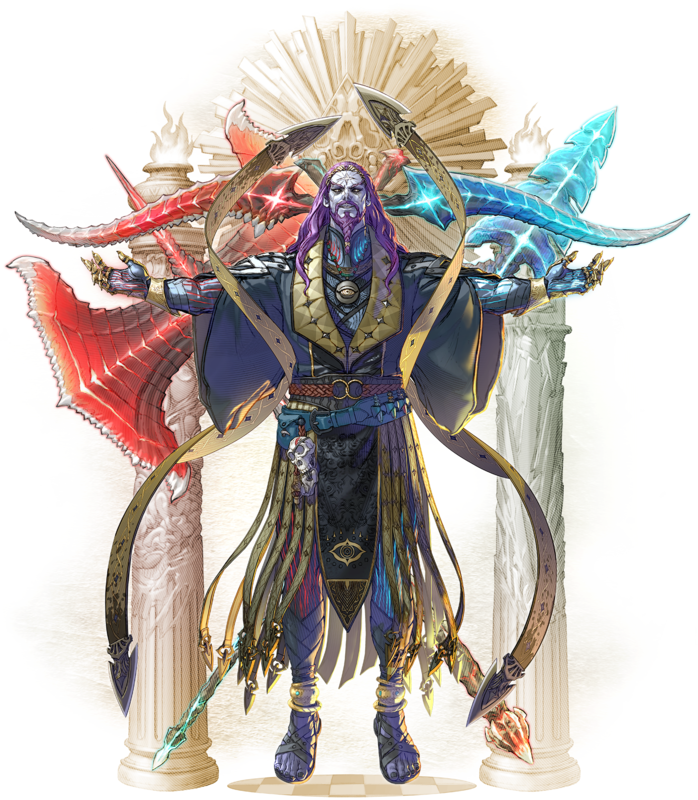 Character Bio: Azwel is a man of extraordinary intelligence and a scholar in many fields, including history, medicine, war, and art. 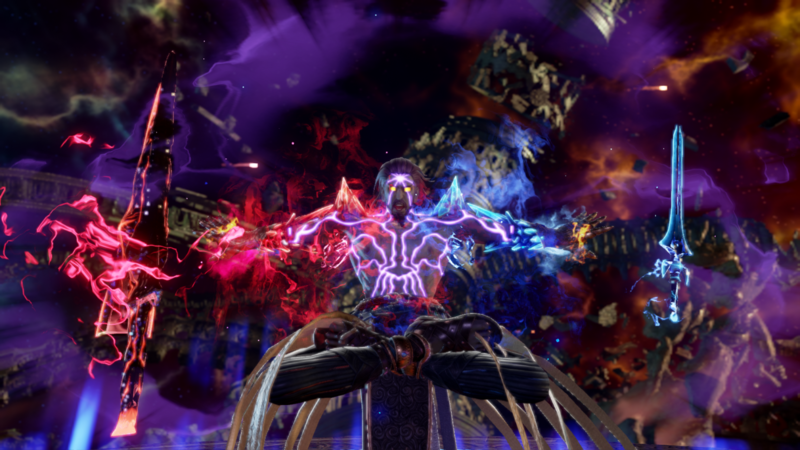 His studies about the history of humanity brought him to the conclusion that humanity would self-destruct through wars and other calamities. 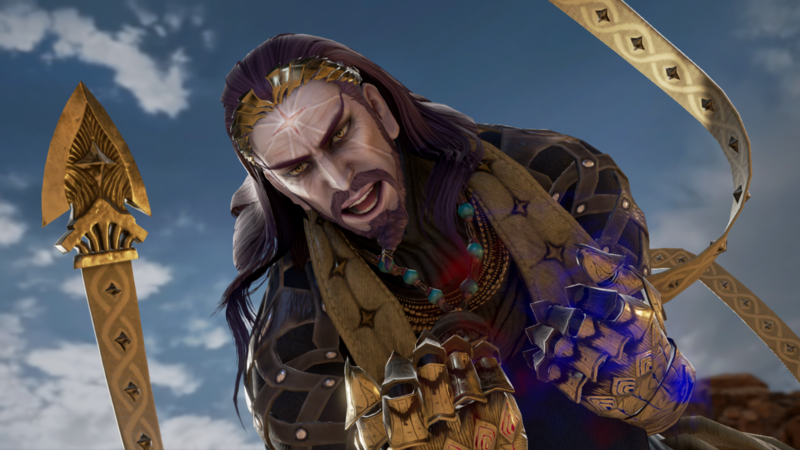 His fanatical love for the people led him to enact a terrifying plan to save them from themselves. 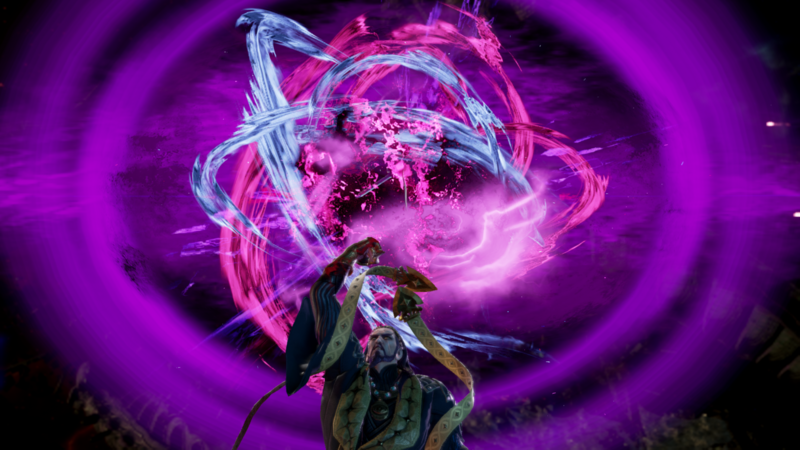 His weapon is named Palindrome, and it’s a pair of gloves. 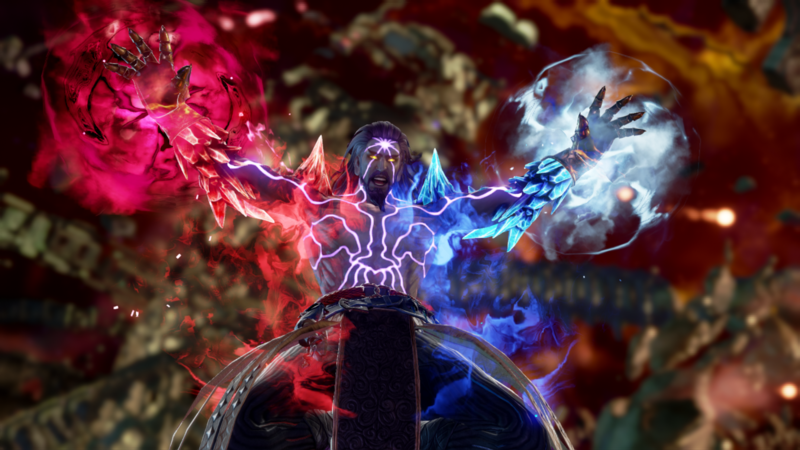 The right glove includes a fragment of Soul Edge, while the left one has a piece of SoulCalibur. 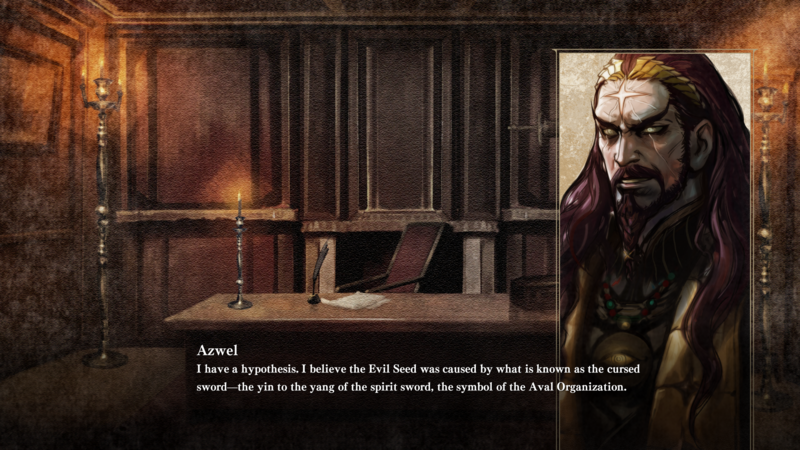 Azwel draws his power from the memories of past battles, preserved within those fragments. 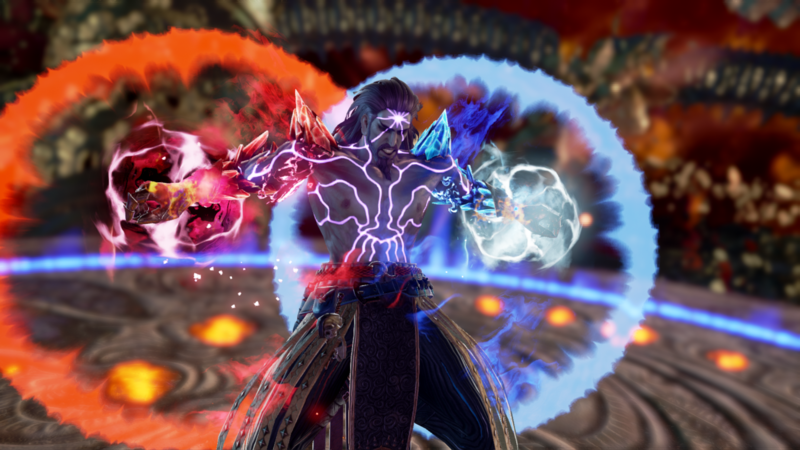 While he appears unarmed, his gloves allow him to summon a variety of deadly weapons, which he can use with brutal effects. 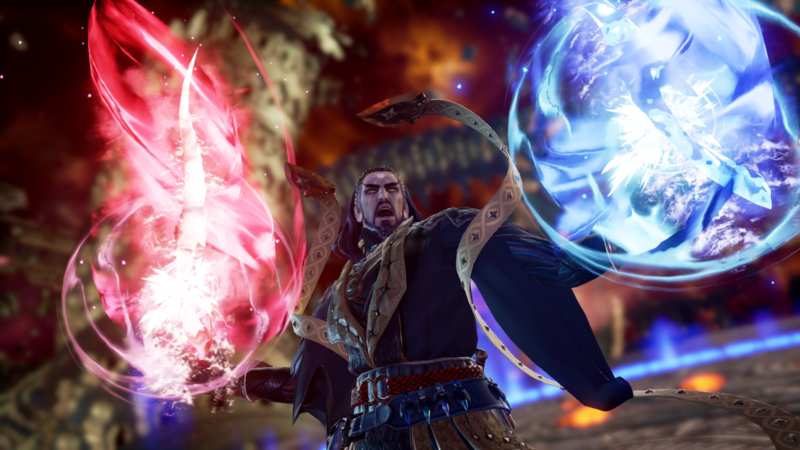 Fighting style details: Azwel can summon 3 types of weapons: Twin Swords, Axe, and Spear & Shield. 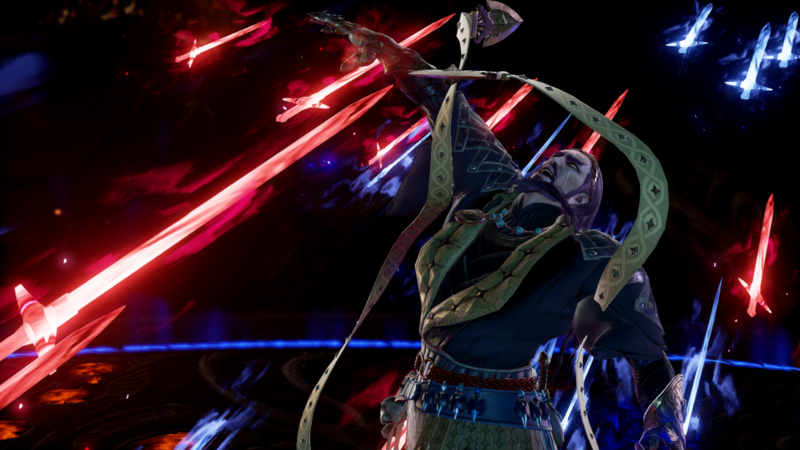 Each time he generates a weapon for an attack, the next time he uses that specific weapon will become a "Weapon Art" which is a more powerful version of the attack - but this can only be used once per weapon set. 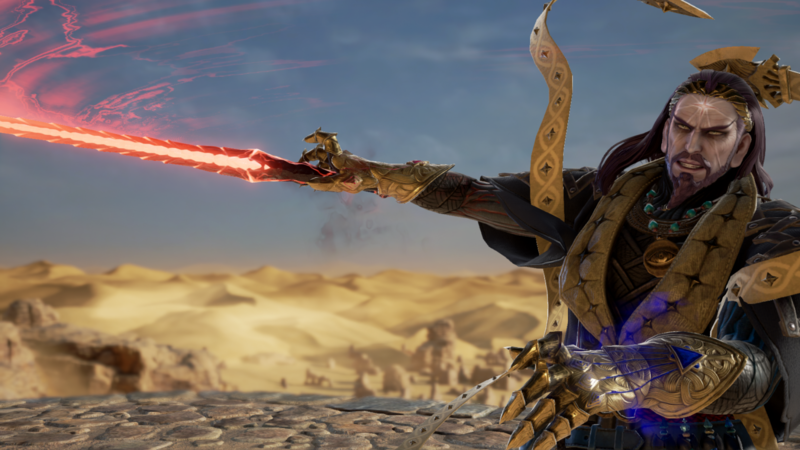 Since opponents can't see which weapon set is being generated, alternating between the 3 weapon sets is crucial to Azwel's playstyle. 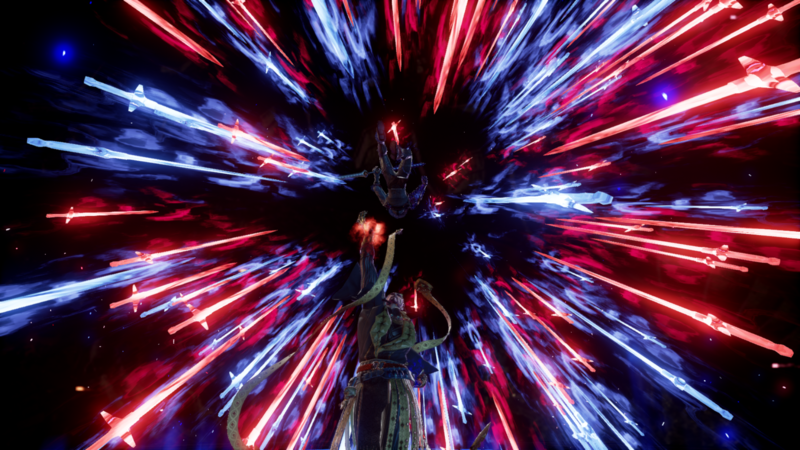 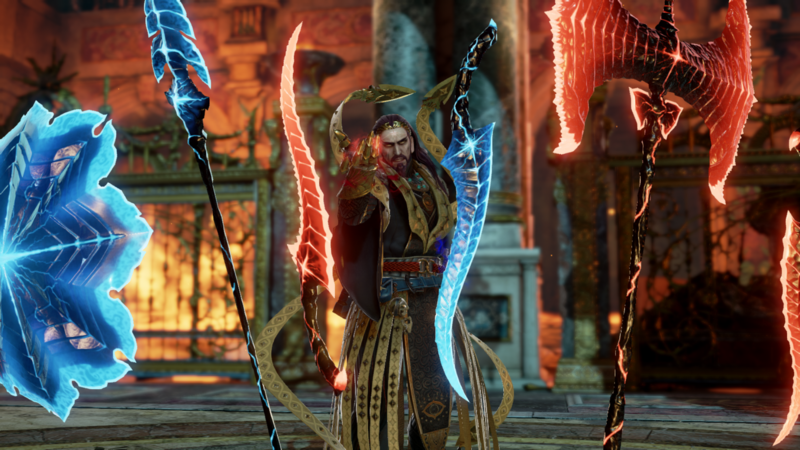 When Azwel is in Soul Charge mode, all Weapon Arts can be used freely during his transformation. 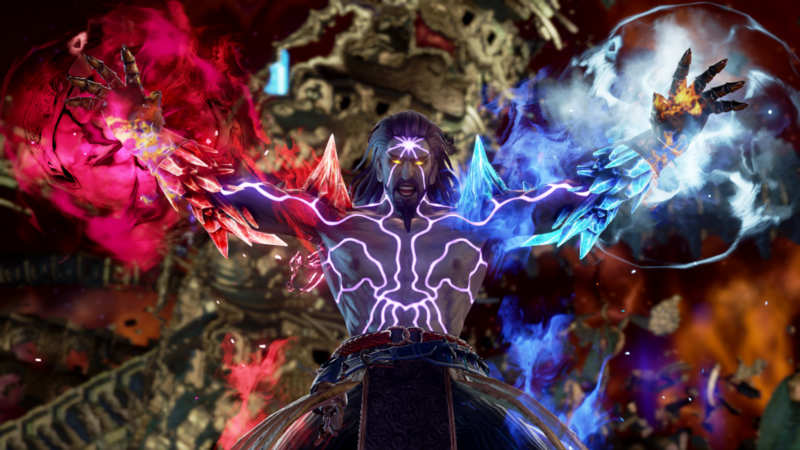 He will also have access to a unique and devastatingly powerful Critical Edge after initiating Soul Charge. 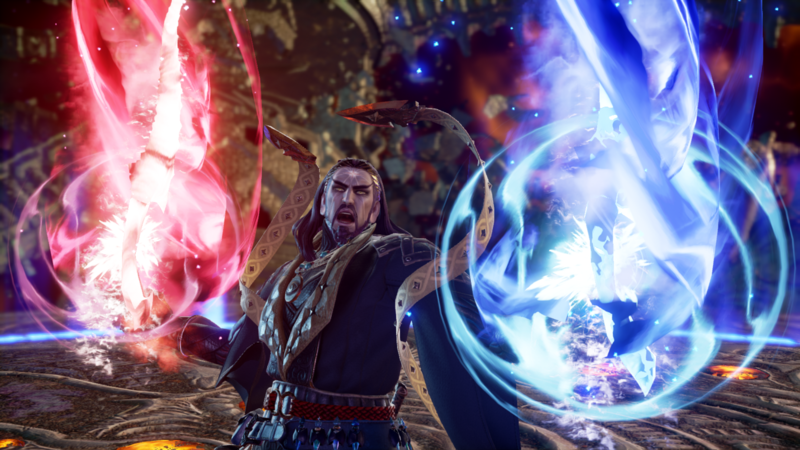 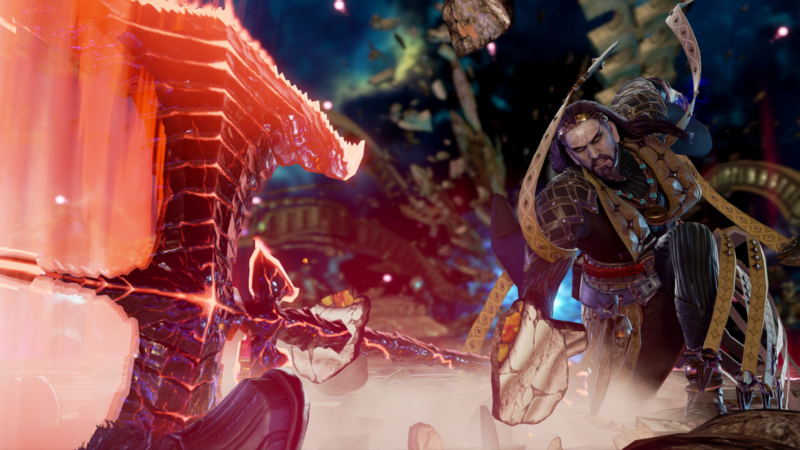 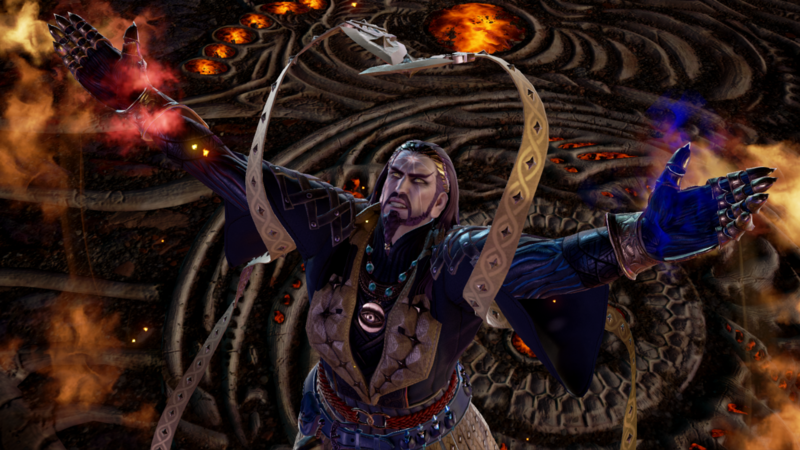 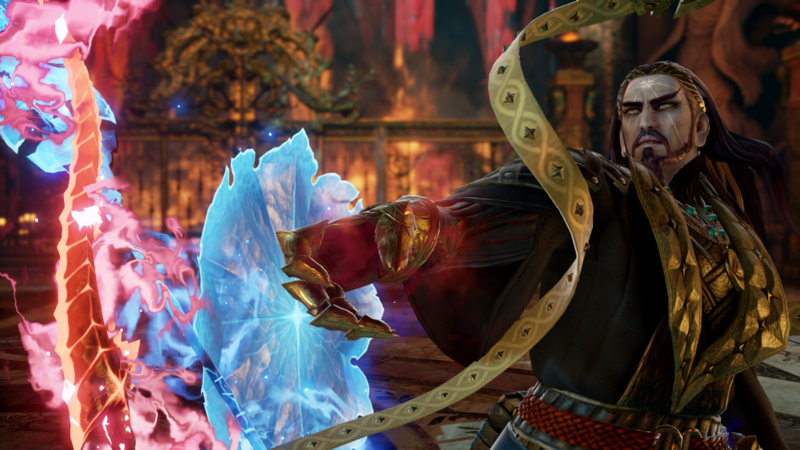 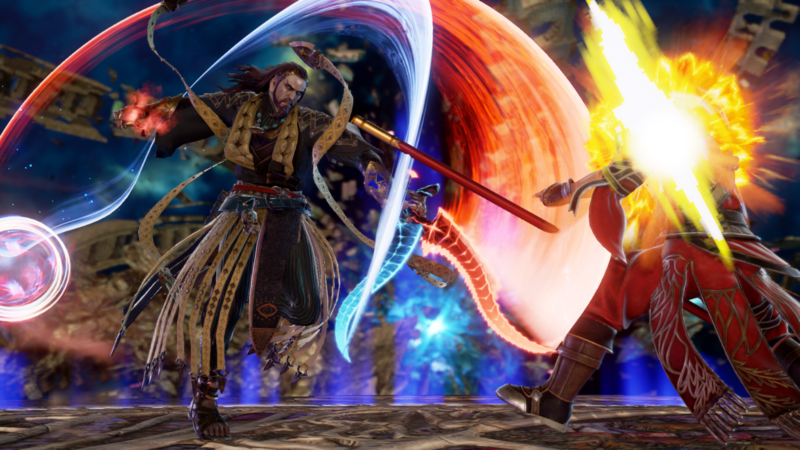 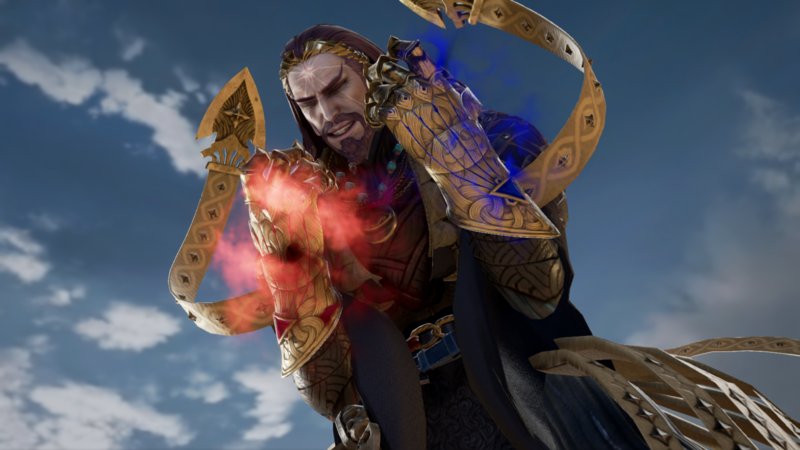 The latest batch of Soul Calibur 6 screenshots (below) shows Azwel's "powered-up" form, hinting that he could be the final boss of the game. 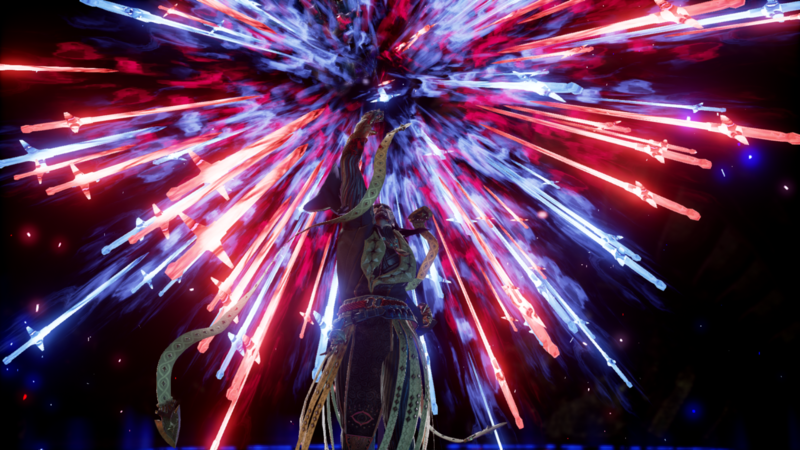 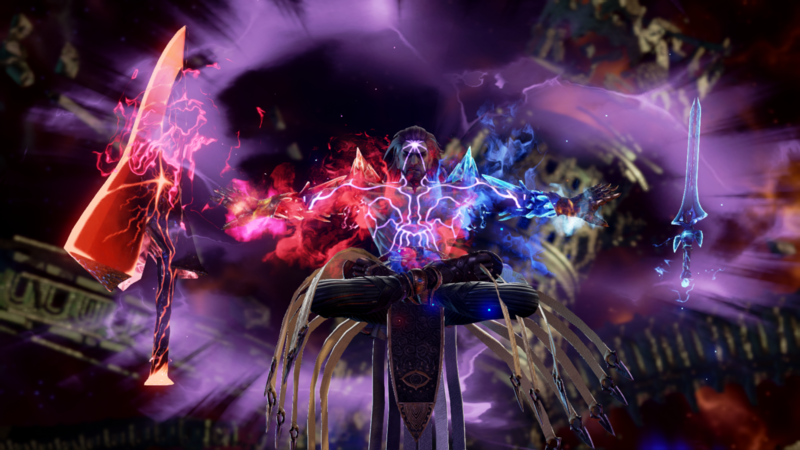 However, we're speculating that both of Azwel's forms are also playable by default (similar to Kilik) - as Azwel appears to be a normal selectable character. 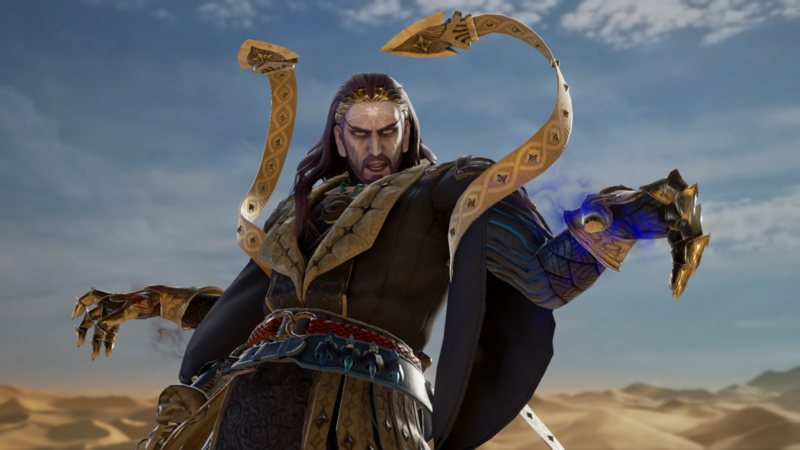 After all, he is only the second "new" character to debut in Soul Calibur VI. 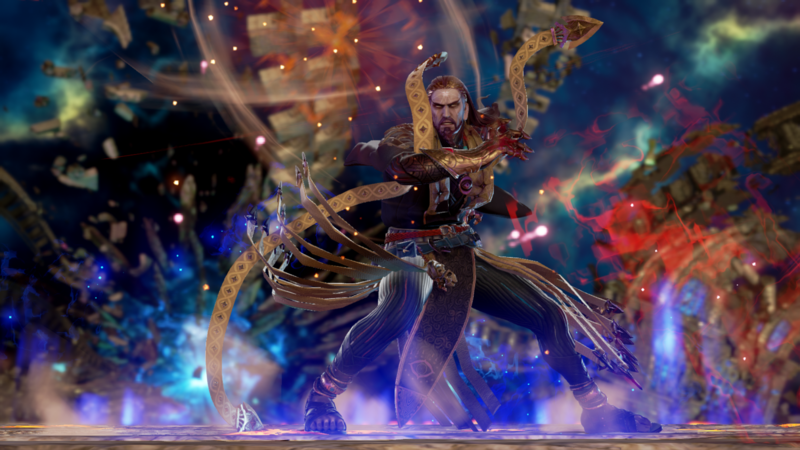 Until we have more solid details, have a closer look at the mysterious scholar who wields the powerful weapon called Palindrome. 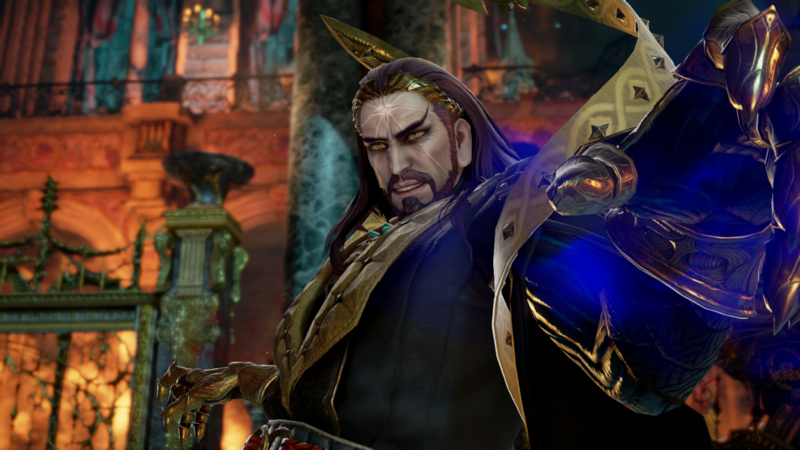 Stay tuned on FightersGeneration.com for continued coverage of Soul Calibur VI.